There’s a reason that race is regarded as the “third rail” when it comes to American politics. A half-century after the marches and protests, chief among them the influence of Martin Luther King Jr., the world feels just as fractious as ever when it comes to race relations. The inauguration of America’s first black president was seen as a significant touchstone, but optimism has faded and recent headline-grabbing criminal cases, and the absence of indictments, have prompted thousands to voice their protest from assembly to street corner. Race relations are one of the thorniest issues today and will be for some time. Two recent films take two very different approaches to discussing race relations, and they’re clearly made for two very different audiences. 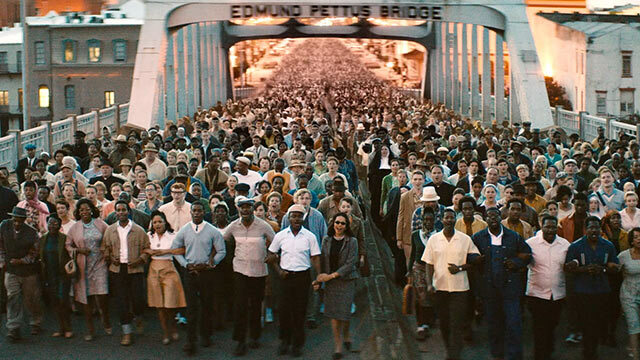 Selma is an invigorating, moving, and exceptional film showcasing bravery and dignity. Where Selma is complex, Black or White is a simplified and misguided sitcom writ large. In 1965, Alabama was the epicenter for the Civil Rights movement. Martin Luther King Jr. (David Oyelowo) has his sights set on organizing a march from Selma to the sate capital in Montgomery. His wife, Coretta (Carmen Ejogo), is worried about the safety of their children, as death threats are sadly common for MLK. He needs to turn the tide of public perception to light a fire under President Lyndon Johnson (Tom Wilkinson) to get him to prioritize legislation that would protect every citizen’s right to vote. Without question, Selma is one of the finest films of 2014. It is powerful, resonant, nuanced, political, immediate, and generally excellent on all fronts. It’s a rarity in Hollywood, namely a movie about the Civil Rights movement without a prominent white savior. This is a film about the ordinary and famous black faces on the ground fighting in the trenches for their freedoms. There are compassionate white people who heed the call, don’t get me wrong, but this is a movie told from the black perspective. I suspect the portrayal of President Johnson had something to do with Selma’s poor showing with the Oscars, though I can’t fully comprehend why. Yes, Johnson is portrayed as a man who has to be won over, but he’s on MLK’s side from the beginning. He is not opposed to legislation to protect voting rights; he’s just hesitant about the timing. Johnson says, “You got one issue, I got 100,” and the pragmatic reality of pushing forward legislation through a divided Congress was real. Johnson was not opposed to MLK’s wishes; he just wanted him to wait until the political process would be easier. In fact, in my eyes, Johnson comes across as compassionate, politically savvy, and he clearly makes his stakes on which side of history he’s going to be associated when he has a sit-down with the obstinate Alabama governor, George Wallace (Tim Roth). Like the rest of the varied characters in Selma, it’s a nuanced portrayal of a man in the moment. The march in Selma is a moment that seems like an afterthought in the narrative of the Civil Rights movement, dwarfed by the Montgomery bus boycott and the March on Washington. The movie does a great job of re-examining why this moment in history is as significant, an eye-opening moment for the nation to the brutal reality of oppression. The opposition is entrenched, thanks to a stagnant system that wants to hold onto its “way of life.” It just so happens that way of life meant very different things for black people. The movie is politically sharp, with dissenting perspectives arguing over the next course of action in Selma and the national stage. 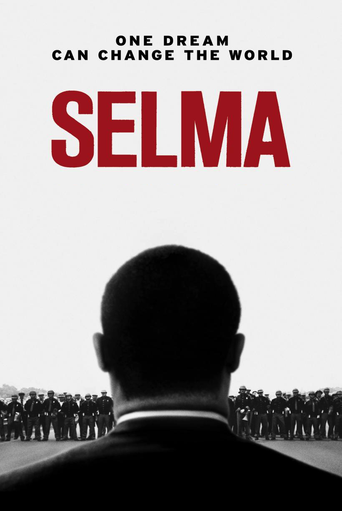 Selma is another in the current crop of biopics eschewing the standard cradle-to-grave approach to highlight a significant moment that highlights exactly who their central figure is (Lincoln, Invictus). With Selma, we get a battleground that allows us to explore in both micro and macro MLK, the man. The courage of ordinary citizens in the face of violent beatdowns and police bullying is effortlessly moving and often heartbreaking. There is a moment when an elderly man, reflecting upon a recent family tragedy, cannot find words to express his grief, and my heart just ached right then and there. I teared up at several points, I don’t mind saying. There isn’t a moment where I didn’t feel that director Anna DuVernay (Middle of Nowhere) was taking the easy road or pulling her punches. The screenplay respects the intelligence of the audience to sift through the politics and the arguments, to recognize when MLK is igniting a spark, and just how complicated and fragile the Selma situation was back then. Here’s a movie ostensibly about MLK but spends much of its time on the lesser known individuals like James Bevel and Congressman John Lewis, who walked alongside the man, taking time to flesh them out as people rather than plot points. MLK’s wife is also given an important part to play and she’s much more than just being the Wife of Great Man. DuVernay’s direction is impeccable; you feel like she has command over every frame. The sun-dappled cinematography by Bradford Young (A Most Violent Year) makes great use of shadows, often bathing its subjects in low-light settings. The score is rousing without being overpowering, just like every other technical aspect. This is a prime example of Hollywood filmmaking with vision and drive. 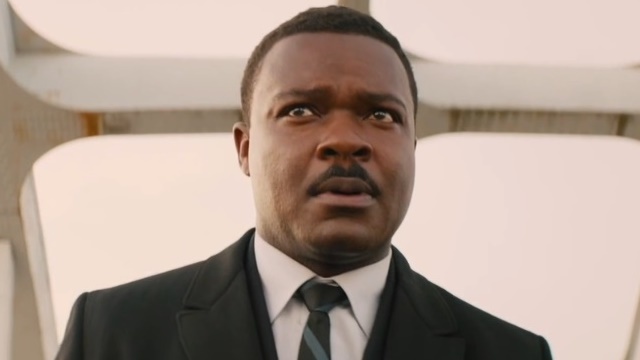 With respect to the Academy, it’s hard for me to imagine there being five better performances than the one Oyelowo (Lee Daniels’ The Butler) delivers as the indomitable Martin Luther King Jr. It is rare to see an actor inhabit his or her character so completely, and Oyelowo just sinks into the skin of this man. You never feel like you’re watching an actor but the living embodiment of history made flesh. This is a complex performance that shows refreshing degrees of humanity for a figure sanctified. He was a man first and foremost, and one prone to doubts and weaknesses as well. 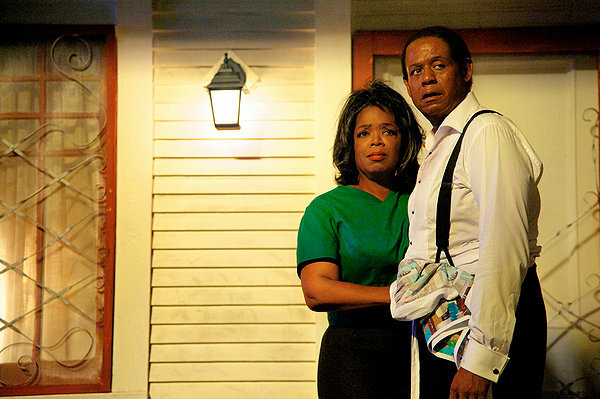 An excellent scene with top-notch tension and peak emotion involves MLK and Coretta listening to a supposed tape of Martin’s infidelity. In the ensuing tense conversation, both parties acknowledge the reality of his affairs. It’s a scene that’s underplayed, letting the audience know she knows, and he knows she knows, but not having to rely upon large histrionics and confrontations. It’s the behind-the-scenes moments with King that brought him to life for me, watching him coordinate and plan where to go with the movement. Oyelowo perfectly captures his fiery inspirational side, knocking out every single speech with ease. It’s a performance of great nuance and grace, where you see the fear in the man’s eyes as he steps forward, hoping he’s making the best decision possible for those in desperation. There isn’t one bad performance in the entire film, and this is a deep supporting cast including Wendell Pierce (HBO’s The Wire), Tessa Thompson (Dear White People), Common, Giovanni Ribisi, Dylan Baker, Lorraine Toussaint (Netflix’s Orange is the New Black), Stephen Root, Cuba Gooding Jr, Jeremy Strong, and Oprah Winfrey. It’s been weeks now since I watched Selma but there are still many moments that I can recall that still have a tremendous power on me even in mere recollection. The opening sequence of the Birmingham bombing, a moment of horror frozen in chaos and debris, is a gut punch of a way to begin a movie about human beings fighting for equality. The sheer brutality of the response from the Selma police force and associates is horrifying, and a true pivot point for the movement in the eyes of the public. More so than anything else, Selma brilliantly and beautifully recreates the suffocating reality of injustice that was so prevalent for many African-American citizens, especially in the South. This is an era where people are being lynched with impunity just for being “uppity.” There was a supreme danger in simply standing up for equal rights, and many suffered as a result. The movie recreates this mood, this permeating feeling of dread and outrage and sorrow, so expertly and so artfully. From an early scene with a middle-aged black woman jumping through hoop after arbitrary hoop just to register to vote, you quickly realize that this vehemently hostile environment was never going to settle things on their “own time,” as apologists are prone to citing in lieu of federal intervention. Selma makes it abundantly clear why MLK felt the movement just could not wait, as Johnson requested. People are senselessly dying and being beaten all for the right to fairly vote. You feel the same sense of urgency with every scene, whether it’s cold-blooded murder, noxious intimidation, or reciprocation that goes above and beyond any sense of responsibility, you understand exactly the terror it was to be black in the South during this time period. 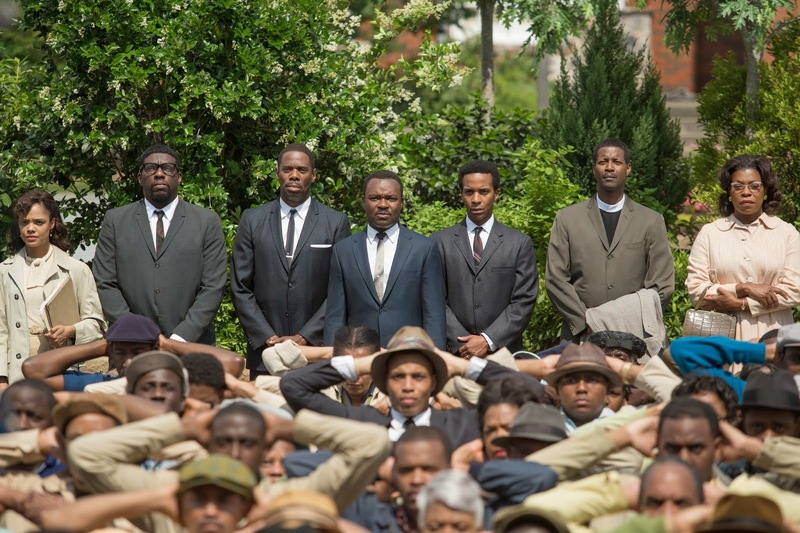 Another potent point of acclaim for Selma is how relevant it is to our own world today. While 12 Years a Slave was an often stirring and very professionally made biopic that exposed the ugly reality of slavery, it was not a film that screamed “immediacy.” Slavery ended in this country over 150 years ago, and while we’re still dealing with the repercussions of treating other human beings as property, it’s an easy film to dismiss in a backhanded, “Well, that was so long ago, and we’ve come so far” manner. The actions of Selma and MLK are still being felt to this day. We live in a world where many feel the justice system has its own separate-but-equal division, and the recent controversial grand jury decisions in the cases of Michael Brown and Eric Garner cannot be ignored. The reality for many black men in this country is statistically far more dangerous than others, fueled by a culture of entrenched racial bias that assumes the worst at first. The transit officer who executed Oscar Grant (detailed in the harrowing 2013 film Fruitvale Station) served eleven months in prison for a crime that had scads of witnesses. Garner’s death is captured on video, and yet even the Staten Island coroner’s report of “homicide” wasn’t enough to convince a grand jury that there was sufficient cause to at least go to trial. It’s been noted that prosecutors could get a grand jury to “indict a ham sandwich.” According to the U.S. Bureau of Justice Statistics, of the 30,000 cases that were not prosecuted in this country, only 11 were because a grand jury did not return an indictment (.0004%). However, grand juries rarely indict when a police officer is accused (In Dallas between 2008 and 2012, there were 81 grand jury investigations of officer shootings and only one actual indictment). It’s hard not to feel like these things don’t add up. Then there’s the all-important struggle of voting, central to Selma and the plight of African-Americans in the South. You would think with Johnson’s passage of the Voting Rights Act that we wouldn’t be litigating the same issues of the past, but the Supreme Court determined that this country is far different then it was in the 1960s and there was no need for the Voting Rights Act today. Within hours of striking it down, scads of new legislation appeared in the (primarily Southern) states that had been limited beforehand because of their past history of discrimination. The right to vote is just as relevant as it was during MLK’s time and there are forces trying to stifle that right, to throw up new obstacles, new hoops, new challenges, all in the name of “polling security,” never mind that the cases of in-person voter fraud are so rare as to be one in every 15 million voters. It’s a solution without a cause, and it’s why many see it as a disingenuous political ploy. It’s the twentieth-century, and yet the struggle for equality frustratingly repeats too many of the same battles. It’s this historical and contemporary context that gives Selma its extra surge of relevancy, reminding how far we still have to go, reminding the world that MLK’s work is by no means complete and that it is up to the rest of the populace to fight for the kind of country that he spoke of in his “I Have a Dream” speech. It is this complex, complicated, and dire reality that hobbles another movie that tackles modern-day race relations, Mike Binder’s imprudent Black or White. 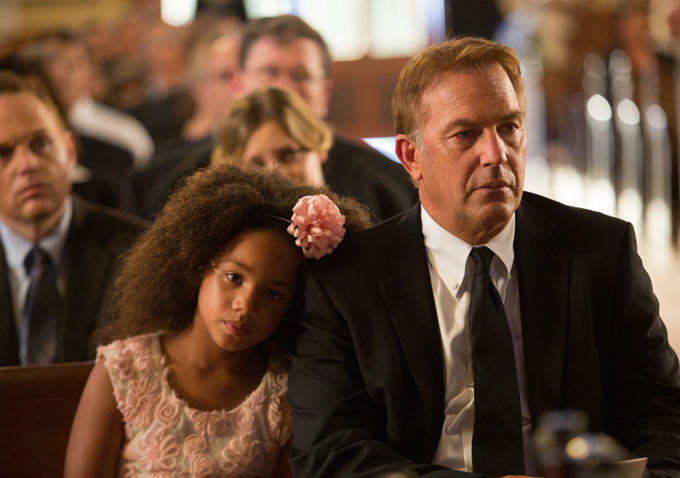 The plot of the film, inspired by a true story reportedly, centers on Kevin Costner as Elliot Anderson, a rich lawyer who has custody over his biracial granddaughter Eloise (the angelically adorable Jillian Estell). Now that Elliot has lost his wife, Eloise’s other grandmother, Rowena Jeffers (Octavia Spencer), wants joint custody so Eloise can spend time around “her own people.” The two of them push and pull and lock horns over what’s best for their grandchild, which gets more complicated when her biological father (Andre Holland, who is actually in Selma as well) comes back into the picture. 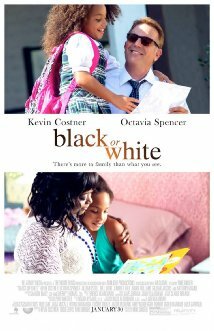 Right away you can tell very early on that there will not be anything approaching subtlety in the world of Black or White, its own title serving as the first clue. The characters are sketched broad and the premise feels like a weird mishmash of Archie Bunker appearing in a court drama. It’s a preachy movie that doesn’t have a deft hand when it comes to crafting a message that rises above easy observations disguised as something deeper. Eloise’s father, Reggie, is so poorly underwritten that he feels like he stepped off the set of some after school special. He’s addicted to crack, a lifelong screw-up, and a general disappointment that has never been present for his daughter’s life. He even smokes crack out in the open on the front porch across the street from where his mother lives. At one point, Anthony Mackie’s character berates Reggie for being a walking stereotype. Just because Binder calls attention to it doesn’t excuse it. But he’s not alone, because Spencer’s sassy black matriarch character and Costner’s gruff and frequently soused character are right there with him. The frequent arguments feel like they should be punctuated by studio audience hoots and applause, that is, if you could hear them over Terrence Blanchard’s relentlessly overpowering musical score instructing the audience exactly how to feel with every clunky moment. In a way, the overbearing musical score gets at the major problem of Black or White, which is that a complicated case is being told from the safest point of view. Elliot is more akin to Clint Eastwood’s character from Gran Torino then, say, Archie Bunker. He’s irritable and prejudiced and old-fashioned and wary but balks if you call him a bigot. I mean he’s polite to his Hispanic housekeeper. The more you examine the character the more you realize this is a movie designed to coddle an older generation (my tiny theater was packed with patrons over 60). The movie doesn’t challenge anybody and actually rewards Costner’s character and his outdated viewpoints. The opening conflict over his refusal to share custody with Rowena makes no sense. She’s an excellent grandmother, caring, nurturing, a fine role model as well for her perseverance and starting several small businesses out of her home. Not only that but Rowena is surrounded by a large family of relatives that adore Eloise. It’s contrived that these two could not agree on shared custody when they both have much to offer the girl. The only way any of this works is if Reggie is somehow responsible for the death of Eloise’s mom. Perhaps he introduced her to crack and she overdosed. Unfortunately, it’s never explained in the slightest, and so Elliot’s hostility for the entire Jeffers clan seems petulant, especially with the happiness of his granddaughter in the balance. Without better context, his rampant anger seems to be guilt-by-association overkill. To his credit, Rowena has a major and annoying blind spot when it comes to Reggie’s stability as a parent. In fact he’s so obviously still on drugs that her ongoing refusal to accept reality harms her character irreparably. In the end, Black or White isn’t so much a film that about race relations as it is about privilege. Costner’s would-be bigot doesn’t have a problem with black people, just as long as those black people abide by his rules of conduct and expectation. It’s the same kind of qualification he’s never had to consider for himself, and one the intended audience will likewise miss. He comes from a wealthy position and Rowena and her family are likely lower middle class at best. He has a world of class privilege at his disposal that the loving Jeffers family does not, and because of that he feels they are less suited to raising little Eloise. Perhaps he’s worried about Reggie re-entering her life, but what animates Elliot Anderson is spite. He’s consumed with the overriding assumption that he must be right in all things. While the film draws many heavy-handed parallels between Reggie’s drug abuse and Elliot’s alcoholism, it clearly presents the both of them on completely different planes of judgment. One of them is ultimately redeemable and the other less so. Elliot’s perspective is essentially he can provide more and therefore more has to be better, but his definition of more is a private school, a housekeeper, a tutor who is treated as a caricature of initiative. Rowena provides a large and loving support system, but apparently they are less valued in the eyes of Elliot. And if you needed any more of a clue that Elliot and his sense of privilege are the unbeknownst star of the movie, he gets to deliver the big speech at the end that Says Something Meaningful. It feels a bit odd that the one character that uses the N-word in the film (albeit there is context) is the one telling lower-class black families how to live. I don’t doubt the sincerity of writer/director Mike Binder (The Upside of Anger); I don’t think he purposely made a film to make older, primarily white Americans feel better about thinking what they do about these troublesome times. It’s not a nefarious movie but it is misguided and will provide cover for a certain selection of audience members who wonder why nobody is asking the old white guys their opinions on modern race relations. Even overlooking this charge, Black or White is just overblown melodrama that has to constantly explain everything to you at all times and guide you through every strained point. Selma and Black or White are both aiming at hearts and minds, looking to add to the conversation on contemporary race relations, but only one of them works as both an eye-opening message of empathy and as an exceptionally made film itself. Before I begin my review, I feel the need to come to the defense of Oscar-nominated director Lee Daniels (Precious). 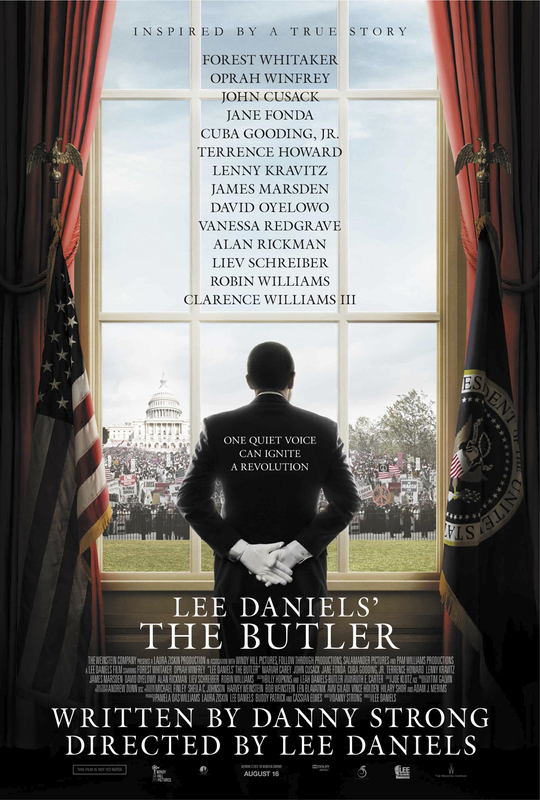 Despite what Internet message boards and detractors may have you believe, it was never the man’s intention to insert his name into the title of his latest film, Lee Daniels’ The Butler. Warner Brothers claimed copyright ownership over the title of The Butler. The MPAA mediates title discrepancies in cases where one movie could clearly be confused for another. However, Warner Brothers’ claims a 1915 silent short film in their vault by the same name. Is anyone in the year 2013 really going to pay a ticket for the Butler and reasonably expect a silent short that’s almost 100 years old? Rather than pay a financial settlement, The Weinstein Company decided to alter the original title, adding the director’s name. This isn’t The Butler. Now it’s Lee Daniels’ The Butler. So before I get into the thick of my review, I’d like to absolve Daniels of Tyler Perry-levels of hubris. You’ll excuse me for just referring to it as The Butler throughout the duration of this review, not to be confused with a 1915 short film. 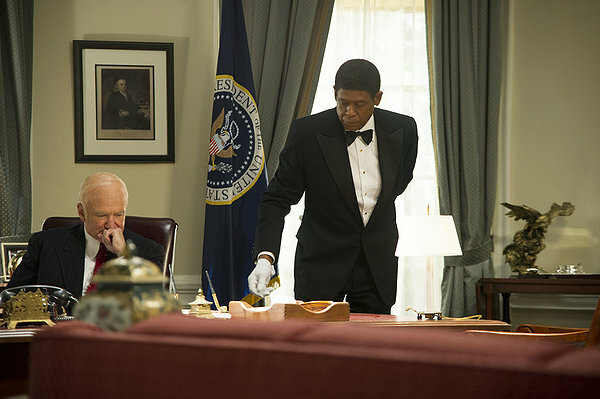 From Harry Truman to Ronald Reagan, one man served them all and his name is Cecil Gaines (Forrest Whitaker). He was a White House butler for over 30 years, even attending a state dinner at the behest of Nancy Reagan. Cecil grew up on a Georgia cotton plantation and moved up the ranks in high-class service. His wife, Gloria (Oprah Winfrey), wishes her husband would worry more about his own home than the White House. Cecil’s two sons, Louis (David Oyelowo) and Charlie (Elijah Kelley), have very different views of their father. Louis feels like dear old dad is too close to the men of power, and Louis is going to do what he can on the frontlines of change. I’m sure everyone had good intentions with this movie, but I walked away with the overwhelming impression that The Butler was too heavy-handed, too corny, and too mishandled with its plot construction for it to be the effective drama all desired. I also know that my opinion is of a minority, but that has never bothered me as a critic. Let’s start with the biggest handicap the film has going, and that’s the fact that its central character, the titular butler, is too opaque for a biopic. Early on, Cecil rises through the ranks of black service workers because of his skill, and that skill is none other than “having a room feel empty with [him] inside it.” I’m not downplaying the man’s dedication, or the culture he grew up in that preferred their black workers to be silent, but here is a movie where the man’s claim to fame is that he served eight presidents but he was in the background for all that history. I wasn’t expecting Cecil to lean over and go, “Mr. President, that Voting Rights Act might be a good idea, and I’ll help ya with it.” He is just sort of there. I was expecting him to have some larger significance, especially in his own life, but here’s the kicker: by the end of the movie, you’re left with the impression that all of his years of service were for naught. Cecil comes to the realization that his son, who he has sparred with for decades, was right and he was wrong. Is this the intended point? My colleague Ben Bailey will argue this is Daniels’ subversive intent, to undermine the tenets of typical biopics, to fashion an anti-biopic. I am not as convinced. The problem is that Cecil is a passive character, which makes him the least interesting character in his own story. He served eight presidents, yes, but what else can you say about him as presented? What greater insights into life, himself, or politics does he have during those years with seven different presidential administrations? I cannot tell. I was thoroughly astounded that Cecil, as a character, was boring. I suspect this is why screenwriter Danny Strong (Recount, Game Change) chose to split Cecil’s story with his son, Louis. Here is a character on the front lines of the Civil Rights movement, getting chased by mobs, beaten, sprayed with firehouses. Here is an active character that wants to make a difference. He also happens to be mostly fictional. While the film opens with the phrase “inspired by a true story” you should be wary. Upon further inspection, very little is as it happened. I think all true stories, when adapted to the confines of a two-hour film narrative, are going to have to be modified, and pure fidelity to the truth should not get in the way of telling a good story, within reason. I don’t have an issue with Louis being fictional, but it points to the larger problem with the biopic of such an opaque man. The real-life Cecil, Eugene Allen, had one son who went to Vietnam and married a former Black Panther. Strong splits the difference, supplying two sons with different paths. Because of his invention, this means Louis has the benefit of being present at a plethora of famous Civil Rights events, like the Woolworth counter sit-in, the Freedom Rider bus burning, and the assassination of both Malcolm X and Martin Luther King Jr. Seriously, he’s in the same motel room with MLK in Memphis. With the exception of the Woolworth sit-in, the Civil Rights events feel like minor pit stops, barely spending any time to develop. It ends up feeling like a facile Forrest Gump-like trip through the greatest hits of the Civil Rights movement. This narrative expediency also translates to the supporting characters in The Butler. Beyond Cecil, Louis, and Gloria, there aren’t any characters that last more than one or two scenes. Cecil’s White House co-workers, played by Cuba Gooding Jr. (Red Tails) and Lenny Kravitz (The Hunger Games), provide amiable comic relief but little else to the narrative. Terrence Howard (Dead Man Down) has an affair with Gloria and then is never seen again. That affair, by the way, is also never referenced again nor does it have any further ramifications with the relationship between Cecil and Gloria. So then what was the point? There is a litany of famous faces playing real people, but they’re all in and out before you know it. The actors portraying the presidents are more an entertaining diversion than anything of real substance. Alan Rickman (Harry Potter) as Reagan gets the closest in the physical resemblance game, though I strongly doubt Reagan, as presented in the film, sat down and openly admitted he was wrong to his African-American service workers. John Cusack (The Raven) as Nixon is a hoot. The movie speeds right through the Ford and Carter administrations, so I’ll play my own game of casting (Ford: Dan Akroyd; Carter: Billy Bob Thornton). The presidents, like the clear majority of supporting players, don’t stick around long enough to leave an impression. It’s as if our prior knowledge of these famous faces is meant to serve as characterization. Beyond the immediate Gaines family, you don’t feel like you’re getting to know anyone. Then you bring in Daniels as director and the man has not shown much of a penchant for, let’s call, subtlety. This is, after all, the same man who directed Nicole Kidman in the ways of urinating upon Zac Efron. A coherent tone has often been elusive in Daniels’ films, which veer into wild, loud, sometimes clashing melodrama. The most clashing thing in The Butler are the matching 1970s and 80s fashion that will burn your eyes. He tones down his wilder sensibilities but The Butler is an especially earnest movie; but overly earnest without earned drama usually begets a corny movie, and that’s what much of The Butler unfortunately feels like. The significance of the Civil Rights movement and the bravery of the ordinary men and women, and children, fighting for equality cannot be overstated. These were serious heroes combating serious hate. I expect a serious movie, yes, but one that isn’t so transparent about its Staid Seriousness. The Butler is very respectful to history (fictional additions aside) but too often relies on the historical context to do the heavy lifting. It also hurts when the film is so predictable. At one point, I thought to myself, “I bet Cecil’s other son gets shipped to Vietnam and probably dies.” Mere seconds after this thought, young Charlie Gaines says he’s going to Vietnam. I’ll leave it to you to discover his eventual fate. Daniels’ true power as a director is his skill with actors. The man nurtured Mo’Nique into an Academy Award-winning actress. From top to bottom, no actor in this film delivers a bad performance, which is a real accomplishment considering its stable of speaking roles. Whitaker (Repo Men) is the anchor of the movie and he puts his all into a character that gives him little to work with. He brings a quiet strength and dignity to Cecil, able to draw you in even as he’s presented so passively and ultimately perhaps in the wrong. Winfrey hasn’t been acting onscreen since 1998’s Beloved. Gloria is an underwritten part but she does the most with it and I’d like to see more of Oprah the actress more often. Another highlight is Oyelowo (Jack Reacher) as the defiant son fighting for what he believes is right. I want to also single out former America’s Next Top Model contestant Yaya Alafia as Louis’ girlfriend and eventual Black Power participant, Carol. She’s got real potential as an actress and if she gets the right role she could breakout and surprise people. Lee Daniels’ The Butler (just one last time for feeling) is an earnest, emotional, but ultimately unsatisfying picture and it’s mostly because of its title figure. The figure of Cecil Gaines is not the kind of man that the entire perspective of the Civil Rights movement can be hung onto as an allegory. He’s treated as background of his own story. If the filmmakers wanted to highlight the life of a man who grew up on a cotton plantation, worked in the White House, and who lived long enough to see an African-American be president, well then tell me that story. But they don’t. I think Daniels and Strong knew the limitations of their central figure, which is why the son’s role was invented to provide a more active perspective outside the hallowed walls of 1600 Pennsylvania Avenue. In the end, I really don’t know what the message is, because the one I’m left with is that Cecil Gaines realizes late in life how wrong he was, not just with his son, but his faith in the office of the presidency. I doubt the majority of filmgoers are going to walk away with this message. While well acted and with a sharp eye for period details, The Butler is earnest without having earned your emotions.